Apple announced its new MacBook Pro lineup today. 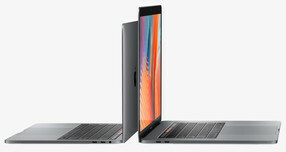 The new MacBooks are not only thinner and lighter, but are also equipped with the so called Touch Bar, which was already rumored ahead of the launch. 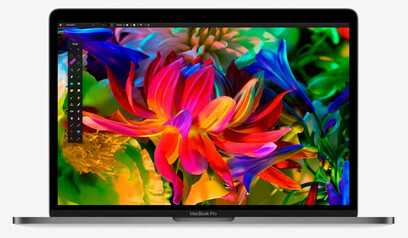 Apple announced the new MacBook Pro lineup today, which is the first full refresh of the series in 7 years. 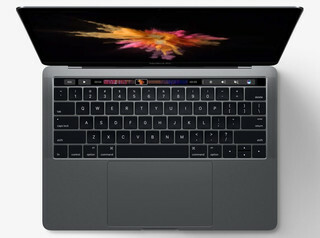 There were many rumors ahead of the launch, including the replacement of the function keys with a touchscreen called Touch Bar for the new devices. The manufacturer now confirmed the rumors at the event with the title "Hello Again". Apple announced three new MacBook Pros. One is a 15-inch model, which is also equipped with the new Touch Bar. The other two are 13-inch systems; one of them comes with the Touch Bar and one without. The model without the Touch Bar is supposed to replace the old MacBook Air. According to Apple, the new touchpad is roughly twice as big as the model in the predecessor, which is made possible by the Force Touch technology. 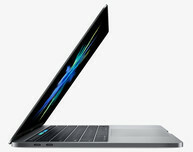 A new thermal management is supposed to keep the new MacBooks much quieter and cooler than the previous versions. The new SSDs inside the MacBook Pros are also supposed to be twice as fast as before. Apple will only include USB Type-C ports, obviously with support for Thunderbolt 3 as well as USB 3.1 Gen. 2. The keyboard with the 2nd-gen butterfly mechanism is supposed to be more comfortable. Apple fortunately did not follow the trend of the iPhone 7 and still implements a 3.5 mm headphone jack. The Touch Bar is a display strip above the keyboard and replaces the traditional function keys. By default, the Touch Bar shows several system functions like the volume, brightness, but also an addition Siri button. The Touch Bar is supposed to be customizable by the user. 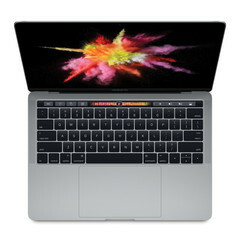 Software developers can also implement the Touch Bar into their own applications, which was demonstrated with Photoshop and Final Cut Pro among others. The power button, which is also included into the Touch Bar, will also be equipped with a fingerprint scanner. This Touch ID scanner is operated by an additional T1 Chip to ensure the highest possible security as well as the best functionality. 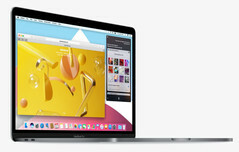 The new MacBooks can be ordered today. While the 13-inch model without the Touch Bar is shipped right away, the systems with the Touch Bar will ship in a couple of weeks. All the new MacBooks are available in the colors Silver and Space Gray. We already ordered test models and will publish our in-depth reviews as soon as possible.